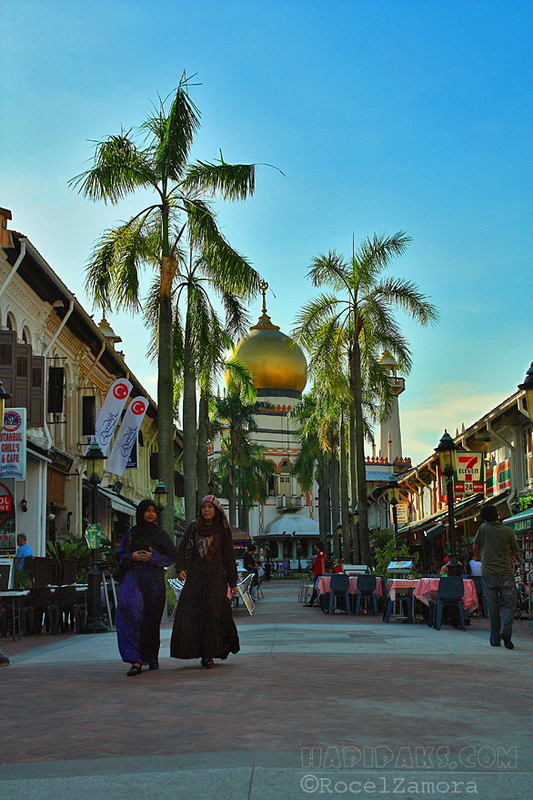 “Dear Visitors, welcome to Sultan Mosque”. 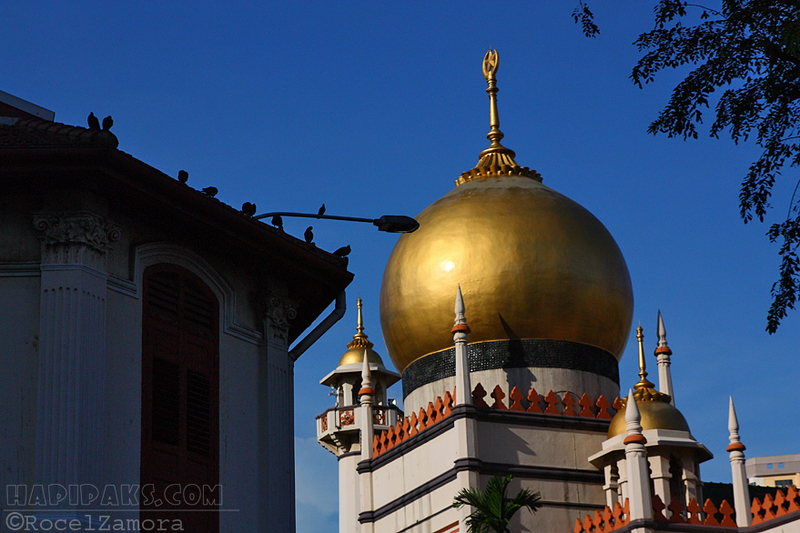 The Sultan Mosque is truly a welcoming sight with its massive structure that one cannot miss when visiting the district of Kampong Glam. 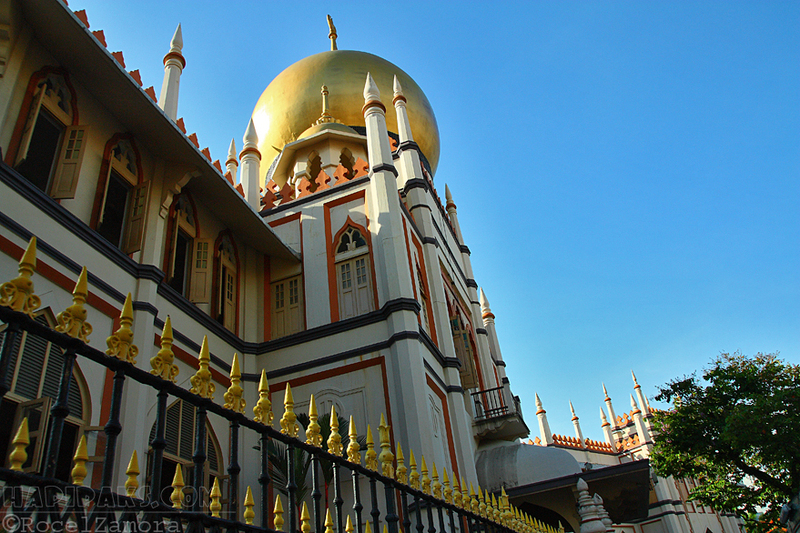 Its edifice of golden dome, minaret (tall slender tower) and golden-tipped wrought iron balustrades is one that was made for and made by a sultan, Sultan Hussain, the 1st sultan in Singapore. 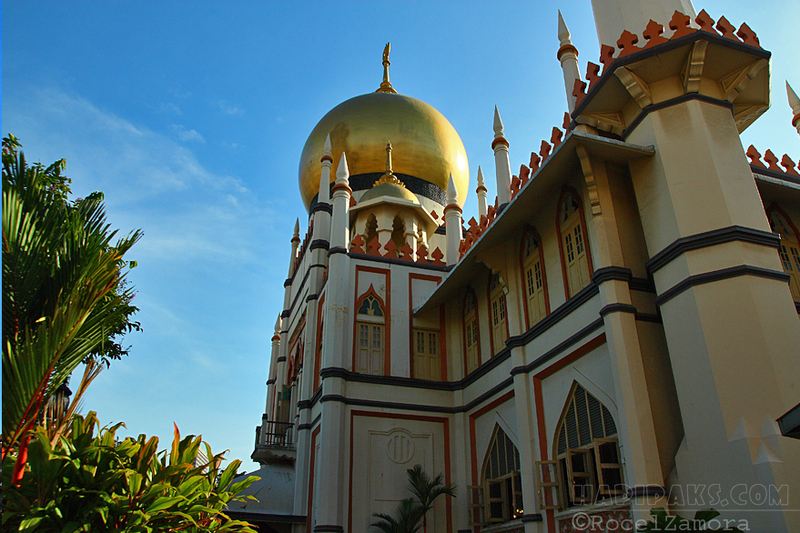 Masjid is the Malay word for “mosque”. It is said that it has a huge prayer hall but it is only allowed entry for Muslims. But there is also an area inside that non-Muslim visitors can enter. I was there at around 4pm and it was already closed to visitors by the time I tried to go inside the mosque. 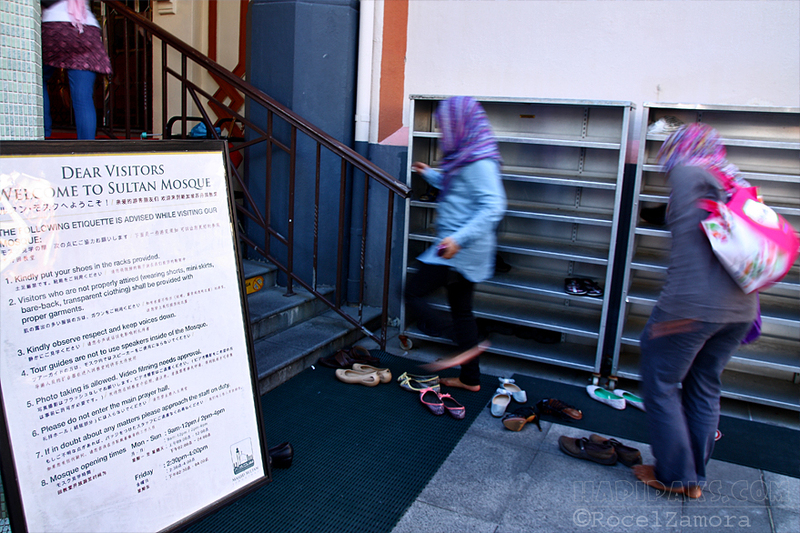 Worshippers remove footwear as a sign of respect. The minaret is a visual cue for the Muslims call to prayer during certain times of the day. As with holy places like mosques and temples, visitors are requested to remove the shoes and wear proper attire before entering. 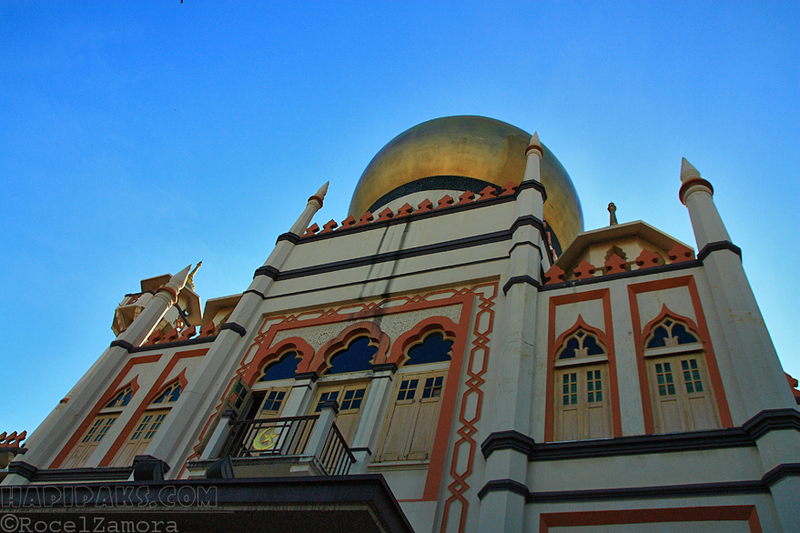 Sultan Mosque is at Muscat street and North Bridge Road and is easily accessible by Bus. It is open from Monday to Sunday 9-12pm and 2-4pm and Fridays 2:30-4pm. There is no fee required to enter. Photos are allowed but filming needs permission.